McCormick junior William Xiao works at his computers. Xiao created Regal, a Google Chrome extension for CAESAR. A McCormick junior created a Google Chrome extension to make searching for courses on CAESAR easier and to improve the website’s overall appearance. Regal, now available for students to download, serves as an add-on to CAESAR that fixes system flaws such as timeouts, inefficient search functionality and disorderly course evaluations, said William Xiao, the creator of the extension. “As Northwestern students, we all have to deal with CAESAR probably more than we’d like, and it’s not the best experience,” he said. A computer science major, Xiao said fixing CAESAR had been a goal of his long before he started working on Regal late Winter Quarter. He said the extension improves CAESAR’s general look and feel by centering the page content, which usually sits on the left side of the screen. He also eliminated rounded corners on the homepage, increased font size for greater readability and made buttons easier to use. The extension also incorporates a “quick add” function, which allows users to type the name of a class into a textbox and add it to their shopping cart directly, instead of sifting through search results, he said. Regal eliminates CAESAR’s 30-minute timeouts and includes a button that connects course schedules to Google calendars. Xiao said the only personal information Regal reads is the user’s class schedule to enable the calendar syncing function. He added that no personal information is stored in the extension. 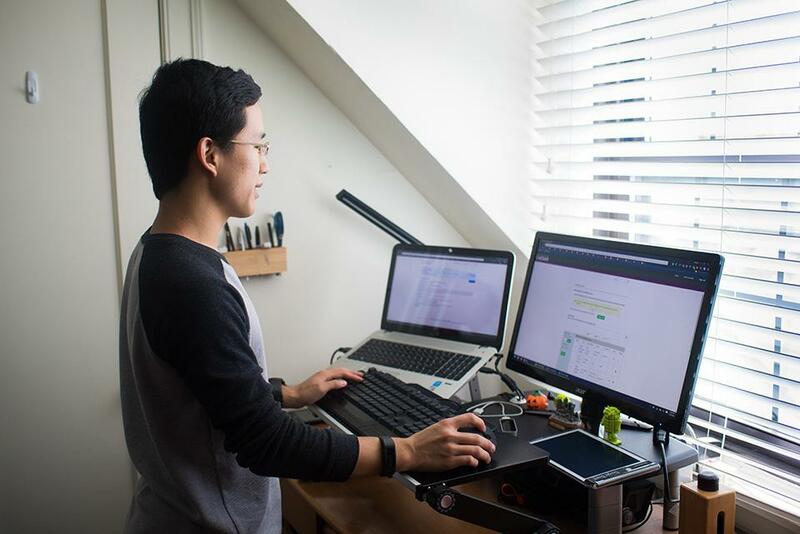 McCormick sophomore Chris Chen, who met Xiao through Northwestern’s student branch of the Institute of Electrical and Electronic Engineers, said the extension’s attention to detail combined with its clean simplicity creates a highly effective tool for students. Chen said he admires Xiao’s skill and versatility as a coder, and noted his ability to “churn out little projects on the side” that are clever in some way, if not useful. Xiao said it was challenging to create an add-on for CAESAR, an intricate system composed of massive amounts of coding. Xiao said he’ll keep working on the extension to make CAESAR even better. For example, he plans to add course names to shopping cart items and to enlarge the buttons that select a particular quarter for enrollment. Weinberg sophomore Michelle Cao, who used Regal while registering for Fall Quarter classes, said the extension made navigating CAESAR much less frustrating. Ann Dronen, director of Northwestern University Information Technology’s Student Enterprise Systems, did not respond to a request for comment. Xiao said he has enjoyed seeing students across NU react enthusiastically to the extension, which currently has more than 400 downloads.